21 Rosemary Lane: Pfaltzgraff's Villa della Luna Giveaway! 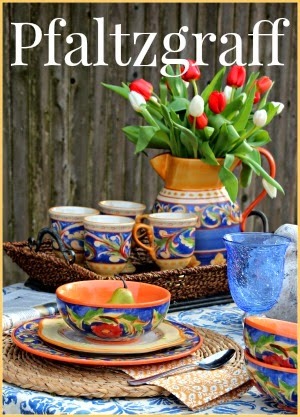 Only one more day is left to enter my Pfaltzgraff giveaway. It ends tomorrow night at midnight and I will be drawing a winner on Sunday April 6th. So please stop by and enter the drawing to win this 20 piece dinnerware set in Pfaltgraff's beautiful Villa della Luna pattern. 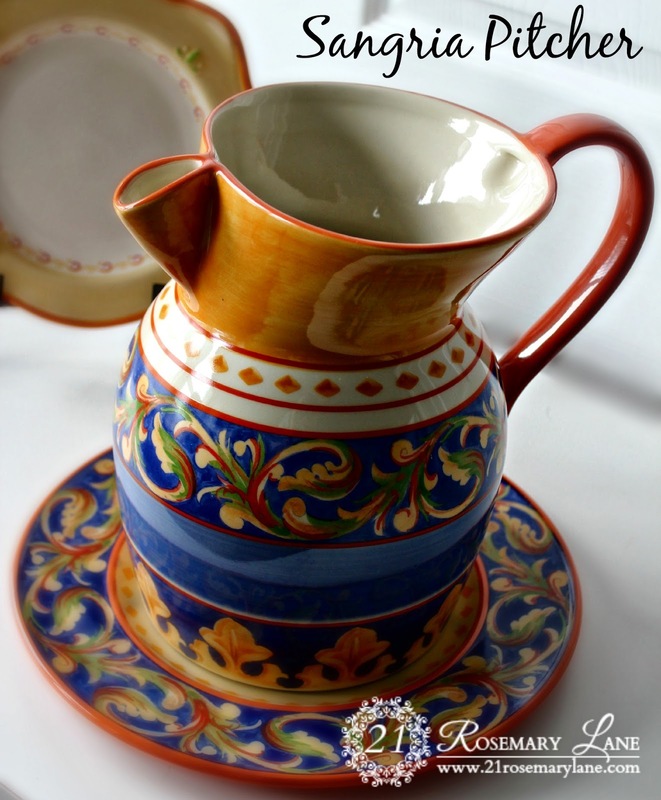 Plus you will also win the gorgeous sangria pitcher! All you need to do is follow this link and leave a comment. For more ways to enter just follow the instructions at the bottom of the post. Wishing anyone who enters the best of luck, and I hope all of you have a fabulous weekend! I followed you and I placed your giveaway button on my side board too! I love it, thank you so much for your generosity and for the chance! I have my fingers closed!